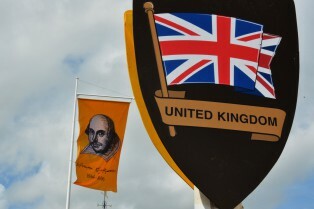 Celebrating Shakespeare’s Birthday is firmly embedded in Stratford-upon-Avon community’s heritage, having evolved since The Shakespeare Club’s procession and dinner in 1824. We are dedicated to leading the world in celebrating William Shakespeare’s life through developing the traditional and internationally recognised Shakespeare’s Birthday Celebrations in his home town of Stratford-upon-Avon. A fundamental belief of our founders is that the festival should benefit the community and economy of Stratford-upon-Avon and the Stratford-on-Avon district and aim to be financially independent of public subsidy.